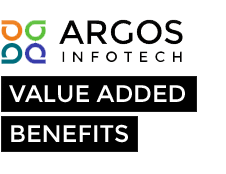 Argos InfoTech’s team of developers speak PHP fluently—in addition, we always keep abreast of current trends and frameworks that improve usability and user experience. PHP is the most popular and preferred server-side language, as it is used in almost 70 per cent of all websites. Sites and applications created with PHP are user-friendly, and the coding itself lends well to increasing function on feature-rich websites. If you are searching for a way to make your website stand out to potential and future customers, PHP development is the way to go. Our tried and true method of analyzing what you need and defining it, to development, testing, deployment and maintenance will result in a website or app that is reliable, scalable, and suits your needs perfectly. Our cutting-edge applications will help your business grow and improve its ROI.